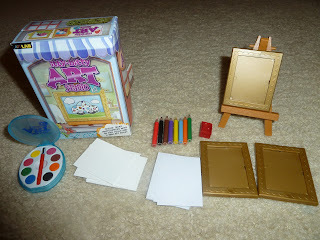 The Lil Divas received the Itty Bitty Art Studio from Ebeanstalk.com to review a few weeks ago. As soon as I opened up the package they wanted to delve right in & create art! 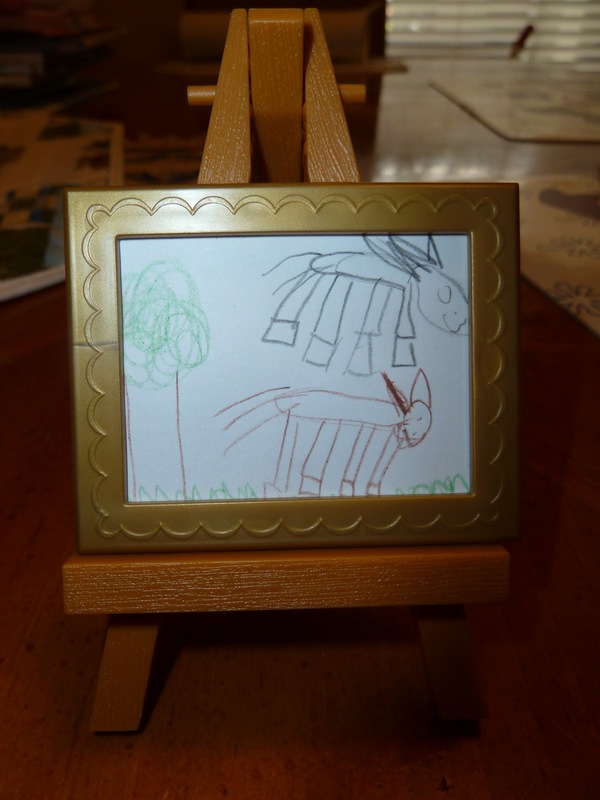 Being that we love arts and crafts in our house this product was a perfect fit for us. 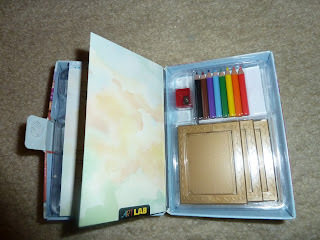 The Itty Bitty Art Studio includes: watercolor paints & a paintbrush; 8 colored pencils & a sharpener; 3 picture frames; 6 canvases; 1 easel ; 25 pieces of art paper and an illustrated idea book. For a tiny box it really came with a suprising amount of supplies. I also liked that it's the perfect size for traveling - it wouldn't take up much room and yet gives kids tons to do! The Lil Divas really enjoyed making tiny art projects to display in the frames and on the easel. I only wish there were more than one easel in the box. As a mom, I really appreciated that the size of the items offered something new to the Lil Divas. Not only was using tiny items a fun new experience but it also made them think differently about what they wanted to create and how to go about it. They really became Lil Artists - planning out what they wanted their masterpiece to look like and working hard to execute their ideas either through pencil drawing or watercolor. 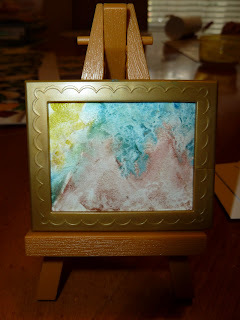 Here are a few shots of the Lil Diva's tiny masterpieces courtesy of the Itty Bitty Art Studio from Ebeanstalk.com! Adorable, right? Yes! 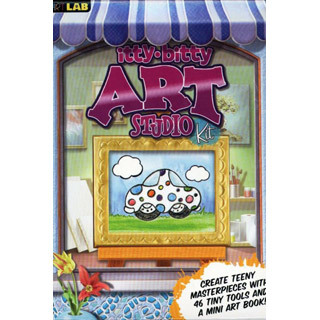 The Itty Bitty Art Studio from Ebeanstalk.com gets 2 thumbs up from the Lil Divas and another big thumbs up from this Mom. If you haven't checked out Ebeanstalk.com yet, I highly recommend you stop by & check it out. Ebeanstalk.com has so many wonderful toys! As a mom I know looking for toys for your kids can be overwhelming! Ebeanstalk has taken the guesswork out of toy shopping for kids. Ebeanstalk.com knows just how many toys are out there for you to sort through and how hard it can be to pick the appropriate toys for your child's age and stage of development. They have a team of moms that have picked out the best of the best to provide great baby toys, toys for 1 year olds, toys for 2 year olds, and toys for all other ages! Ebeanstalk also has a panel of child experts that have matched each toy to the specific age of your child, so you know that your child is getting the most out of playtime! My Lil Divas definitely got the most out of their playtime with the Itty Bitty Art Studio from Ebeanstalk.com! 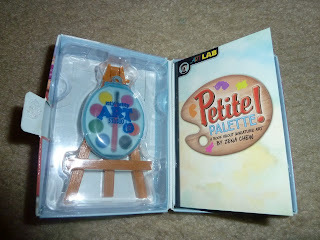 Disclaimer:I received the Itty Bitty Art Studio from Ebeanstalk.com for the prupose of trying it out for this review. That being said, this review is my 100% honest opinion of this product - I am not paid for my reviews or optinions! They are 100% mine! Please remember that your opinions and tastes might differ from mine. Hi! I'm your new follower from the Sunday Blog Hop! would love a follow back while I take a look around your site! I love this! The tiny easel and picture frames are so cute! I'll have to keep this one in mind for when my daughter gets older. 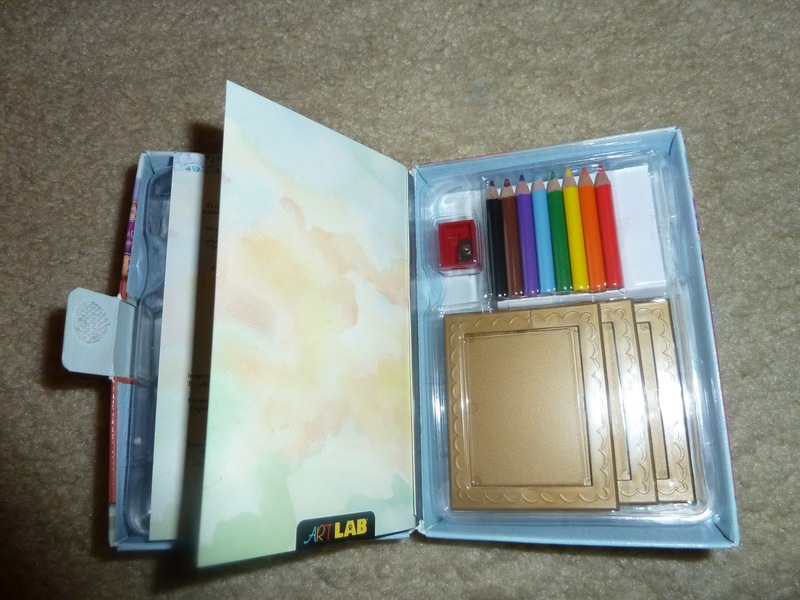 I would've loved this as a kid.